We’re excited to share what’s happening around these parts. And we use the term ‘these parts’ lightly as we’re growing and expanding as a location independent team! We are now well immersed in our new school year and in the last few months we’ve already kicked off two Associate Certification Modules (ACM) and one Professional Certification Module (PCM), with one more ACM class getting ready to start next week – in Vancouver! It’s been a joy to experience the robust energy and demand for our Associate Certification Modules this year in Canada and Europe and we’re delighted to be back in Vancouver and growing our presence and community in the west coast of Canada – right in Chela’s backyard! In addition to having four vibrant ICCP classes running this fall, I’m excited to share we are expanding our ICCP offerings to a new location: Denver, Colorado! We are coming to Denver in March 2017, so if you know of folks in that part of the USA, please let them know that we are coming to the Mile High City! We are very excited. These are inspiring times as we continue to have our work ripple out into the world in new communities. While listening to the whispers of what ICC is being called to next, Chela and I (with Joanne and Laura’s support) have been making some strategic decisions regarding the infrastructure staffing needs to support the next evolution of ICC. This has led us to adding two new members to the ICC team! We are so pleased to announce that Andrew Leonard has joined Integral Coaching Canada as our Director of Technology Development. With his sharp mind, love of Integral, wacky sense of humour, technological savvy, extensive background in project management and experiential education and his passion for development, Andrew is a terrific addition to our team. Andrew, who is also an Integral Master Coach™, will be a significant contributor to Ecosystem Development as we move forward, helping us build online courses, a community site and learning platform to enable us to meet the evolving needs of YOU - our ICC Community. Andrew is also responsible for business technology oversight and will be advancing the technological processes within our organizational and operational infrastructure. We’re also thrilled to share that Susan Loree has also joined the ICC Team as our Director of Faculty Development. Many of you already know Susan, (she may have been your Certification Committee Chairperson!) an experienced and deeply embodied Integral Master Coach™, who is passionate about Integral Coaching® and its potential for application in the world. Susan has an extensive background in leadership training in large organizations, with a particular emphasis on learning programs design (how appropriate for Faculty Development). She has a unique ability to imagine possibilities and what could be, tempered by her strong capacity to make things happen, her “can do” attitude, huge heart, and a healthy dose of perseverance and developmental pragmatism. Susan already contributes to ICC in a number of key ways as an ACM Teacher and Phone Coach, MCM Teacher and Certification Committee Chairperson. 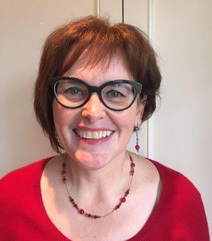 In her role as Director of Faculty Development, Susan will be continuing in her current contributions as well as stepping into new essential roles within our team as a Group Video Call Teacher and PCM & MCM Observer while also gradually moving into more advanced faculty development and oversight functions. It is with great pleasure that we welcome Andrew and Susan to the ICC Team! What an incredible year it’s been, one of grace and grit. While I could go on and on about what it has been like to dive into a leadership role at ICC, developing strategies, working closely with Val, Joanne and Laura, building new infrastructure, new courses and simply swimming in and being stretched by the complexity, disruption and richness of holding a role that develops the organization, other human beings and myself with staggering intensity, I’ll save those confessions for another letter! Presently, I want to share about the wild ride of walking the path of an ICCP Teacher over these past 18 months. Because this, my friends, has been a deeply enriching and dedicated practice. Over the past few years, Laura and Joanne, ICC’s Founders, updated and reconfigured the Integral Coaching® Certification Program (ICCP) from a 2-module program to a 3-module program in what we’ve been affectionately calling ICCP 2.0. Alongside this new configuration came the opportunity for someone other than the Founders to teach and hold the whole of the ICCP… all three powerful modules. Up until this point in time, only Joanne and Laura had taught all of the ICCP. As of this year, I have now joined that club. In the last year, I taught multiple Associate, Professional and Master Certification Modules. What an incredibly full, empowering and demanding year. Let me be totally honest about something here, these are massive shoes to fill. Teensy, weensy bit of pressure to be sure. A few years ago, (before I even started teaching!) I declared to Joanne and Laura that I only wanted to teach the Master Certification Module; I’ve since changed my tune on this one as I’ve fallen in love with the unique contributions, content and territory of development of all three Modules. (What did I know?!!) Even with the steep learning curve of becoming a teacher of all the ICCP Modules, while simultaneously stepping into a leadership role in the company, it has been a path that I have stepped into with deep dedication, reverence and possibly a few sleepless nights. I’m so grateful for being mentored by Laura through every leap and dive which offered so much in terms of my own capacities and expanded my way of relating to what it means to transmit and to develop Self-as-instrument. The immediate ripple that I experienced while holding so many incredibly awake and skillful students in their own deep development, while being held in mine, has carved a deeper groove in my own understanding of what it means to be part of and carrying out a lineage. We are now approaching the completion of our second Master Certification Module and the joy and awe of getting to be so deeply and intimately connected to a second cohort of soon-to-be Integral Master Coaches™ as they lean in and wrestle with the art and nuance of this coaching method as well as engaging in profoundly deep personal work, all while launching projects out into the world cannot be understated. (There is now an ‘application of Integral Coaching® in the world’ as part of the MCM which has taken this module deeper and further into the art of this work.) It is a lot to hold and even more to behold! This work expands every aspect of my being and capacities day by day. It is fascinating, touching and downright fun. Part of what feels particularly special about getting to walk the path of the teacher of the entire ICCP is directly experiencing the include and transcend model of the modules themselves, being able to witness, facilitate and rely upon the developmental trajectory of these three modules as they’ve been designed. While I knew that the method itself lives in the ICCP that Joanne and Laura designed, I now understand this at a whole new level. I tell you, there are layers and layers to this work that I just keep uncovering. I remember when I took the first module as a student, I’d wondered when I would feel constrained by the method (you know, not liking to be ‘boxed in’ and all) but the further I go with this work, the more it continues to open. My world was rocked and development skyrocketed through being a student of the first form of ICCP and ICCP 2.0 is an even stronger container and catalyst for development, one that I intimately know every nook and cranny of now and it continues to blow my mind. A tragic event called for me to step into the classroom on a pretty intense timeline this past spring and the outcome of doing so stretched me, developed me and had something land so deeply in my bones that it’s like the next layer of holding the complexity of humanity, change, suffering and grace has begun to knit itself through my cells. As you know, my dear colleague and fellow teacher, Kevin Snorf, suffered a concussion earlier this year (more on Kevin below,) and I stepped into his classes as well as my own. What this created was a seven-week teaching marathon that had me flying every other week to teach one of the ICCP modules. And I got to teach them in order. You guys, this may not sound like a big deal, but it was very, very cool. First was the completion of the inaugural MCM as we certified a full class of new Integral Master Coaches™ so I got to register the end point of the full ICCP, what embodiment looks like on that final day. Incredible! Then my following six weeks consisted of fresh, new faces in an Associate Certification Module, then a Professional Certification Module, then the launch of our next Master Certification Module. Boom. Boom. Boom. All three modules. I got to explicitly see where a student starts on their very first day all the way to the final day. If the ACM level is about learning all the dance steps and hearing new music, then PCM enables you to skillfully dance to many new beats all the way across the dance floor, and then…and then, MCM begs you to make your own music, reach full expression of your moves while you travel many dance floors, never losing sight of yourself or the embrace of your partner. Above all, what’s come from walking this path for me is a feeling of deep hope for humanity as well as solidarity with all who are suffering and all who long to be crusaders for change. We’re in some very disruptive and uncertain times. There’s much work to be done as global citizens and I’m amazed by the depth, earnestness, commitment, compassion, and ambition of the students who find this work and come to this school. Thank you for being who you are and for trusting us. May we do right by you and by our world with each step we take together. What inspires your deep dedication to your work with ICC? The inspiration that keeps me in this work is the impact that I see this method has—what it has done in my own life—and what I’ve seen it do with students as they go through the different programs and grow and stretch. Finally, I think it’s inspiring to think about how many people are touched and left better from these coaching programs. As each student goes out into the world, there’s another person who has the capacity to bring his or her love into the world and lessen suffering. What is it about working with the students and with this method that meets your longing to be of service? One of the things I relish about my work is the one-on-one connection that I get to build with my students. Much of my work over the past decades has been with groups, and that has its challenges and rewards. For me, feeling the confidence grow as students step further and further into their coaching work with their clients and seeing the growth in the student and in the client really leaves me deeply satisfied. I love knowing that my work with that student is going out through them even further. As it has evolved, my work across all of the ICC programs means that I get to see some students from their initial work as ACM students and then follow them with feedback on their recordings in PCM and even MCM and then I may even be on their Certification Committee. I have an experiential sense of the power of the ICC method and how it works on individuals who go through the program and what it allows them to take out into the world and I cherish that connection across the whole eco-system. Now, some students who I have worked with are teaching (looking at you Chela! ), are serving as phone coaches and providing feedback on recordings or mentors, so I also get to see how that ‘giving back’ multiplies. What unique qualities and gifts do you bring to this work? I believe I have a deep well of compassion and empathy for how a beginning coach has to work with their own way of being while supporting their client’s way of being and learning the method. And that big heart is also supported by a depth of understanding of the method and the craft that is also part of this method. There’s an art to creating reflection questions that deepen the learning for the client and make COD conversations more productive for the coach and client that I bring to my students. There’s my ability to sense where a student is bumping into something in the client that is generating a reaction that they need to see and develop a new move that lets them support the client and get out of their own way. My students tell me that I hold them accountable for their work and the standards of ICC with love and with the expectation that they can find their way into and through each level of the program. It’s not unique to me, but I am really good at feeling the client through the student’s files and helping the student get a more accurate assessment and design than they would be able to do on their own. What do you receive personally or developmentally through your work here? Developmentally, my understanding and ability to see the nuances of the ICC method and understand how the different lenses interact and work with each other has expanded considerably since I started on the faculty of ICC. My ability to listen to conversations and craft ways of connecting to seeing, going and checking with both metaphors has also grown richer and subtler. Over the last 18 months, I’ve stretched into PCM phone coaching and found the challenges of coaching with the learning teams has caused me to focus my feedback more directly and to hold the space for more than in the ACM phone coaching. So that’s some of the ‘technical’ deepening that has happened. I also feel this translate to my other work in classrooms and leading programs. My ratings from programs I lead for the American Management Association have gotten stronger as I have continued to expand my own development. On a more personal basis, I have a balance of head, heart and hara and my connection to others is more open and vulnerable. My ability to be with family and friends is also more open and vulnerable and I can see where I am coming from in a deeper, more insightful perspective. I am happier and more attuned to the energies that surround me. 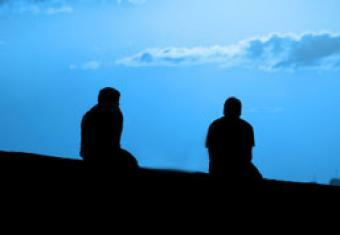 My intuition is more available to me and I feel it and trust it more than I ever have in my life. I cherish how this is revealed within me each day. Thank You, Jody Jones! From all of us at ICC, we love you and are so grateful for your wisdom and skillful service! In our summer newsletter, we announced a fundraising campaign to support our beloved colleague and faculty member. Wow, did you guys ever step in! Within just a few days of announcing to this community, the goal that was set to help cover Kevin’s medical expenses was exceeded! Once again, we’d like to thank Andrew Leonard and Leslie Williams for leading this cause and bringing it to fruition. Kevin and Tami are awestruck by and deeply grateful for your generosity and consider this fund to be a complete miracle in their lives. Kevin’s healing and recovery continues to be slow but steady and he is buoyed by your care and good wishes. We love you, Kevin! Keep on getting well, dear friend. This past summer, we sent out an extensive questionnaire to our community of Integral Coaches™ and received so much incredible feedback. So many expressed a keen desire to continue to cultivate connections with one another, grow and develop in deeply meaningful ways in work and life, building capacities, coaching practices, businesses and global initiatives. There was a strong demand for opportunities to gather and develop together online, deepening embodiment of the Integral Coaching® method and its application. In response to this, we’re thrilled to offer our newest Online Ecosystem Offering… Scaling the Method - 2+ Coaching. This five-module, self-paced, online course translates the Integral Coaching® method to working with pairs or groups, enabling you to deepen your understanding of and capacity to apply this method with clients at any size and scale. Available to Certified Integral Coaches™ at the Associate, Professional and Master Levels, this course is designed to both anchor what is solidly in you and build upon those capacities, developing the specific capabilities needed to work with multiple people at the same time, navigating the complexity and better understanding how to facilitate change with a collective. Registration is now open! For more information or to register, click here. Registration for our three-day Integral Coaching® Fundamentals course closes on Tuesday, November 15th. 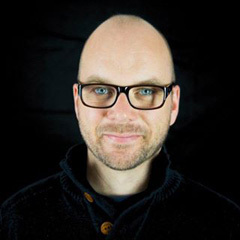 Chris Alder has been teaching Fundamentals internationally and is travelling from Scotland to Ottawa for three rich days that have proven to be deeply valuable for people ranging from new to coaching to Integral Master Coaches™ already steeped in the method. 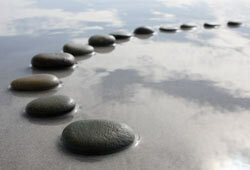 This is the one Integral Coaching® training class where you can attend as an Integral Master Coach™ and you can also bring a colleague or friend or someone you have talked to about this coaching work where you could both take the class together... deepening and expanding your skillset while sharing in the experience of someone coming to this work for the first time. For all of you out there who’ve been wanting to share the power of our training with a loved one or friend or colleague, these three days are for you! The IC Fundamentals course qualifies for 19 Core Competency and 0.5 Resource hours for your re-accreditation requirements with the International Coach Federation! 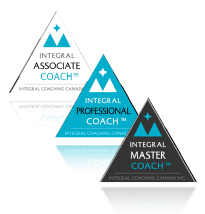 Also, the Integral Coaching® Fundamentals course fulfills your ICC Re-Certification requirement! So, if you’re an Integral Master Coach™ and need to complete a course prior to the end of December to meet your ICC requirements, this is the course for you! If you’re considering this course and have any questions you need answered, please contact Linda at linda@integralcoachingcanada.com before registration closes! ICCP Modules – Amazing Fall Kick Off! As mentioned, we’ve already launched into two Associate Certification Modules, in Ottawa and Amsterdam and the Professional Certification Module in Ottawa is well underway. Teachers Chela Davison, Steve Beckett, Chris Alder, and Susan Loree had emails flying back and forth over the in-class weeks packed with awe and enthusiasm for these incredible cohorts of human beings. What an honour it is to work with you all! Vancouver ACM begins Monday, November 14th with another full cohort about to start their ICC journeys. We wish you all the best as you embark on this powerful work. To all our coaches in the Colorado area, please spread the word, we’re coming to Denver! Registration is now open in our new USA location. Steve Becket will be teaching this course and the in-class week runs from March 27-31, 2017. Click here for more information or to register! Thanks for reading our Newsletter! We hope that you are doing well. With love from the ICC Team!